Meet Artwork Archive artist Terrill Welch. Following a crisis where her hard drive failed, Terrill searched for a cloud based system that could securely store her files no matter what happened to her computer. 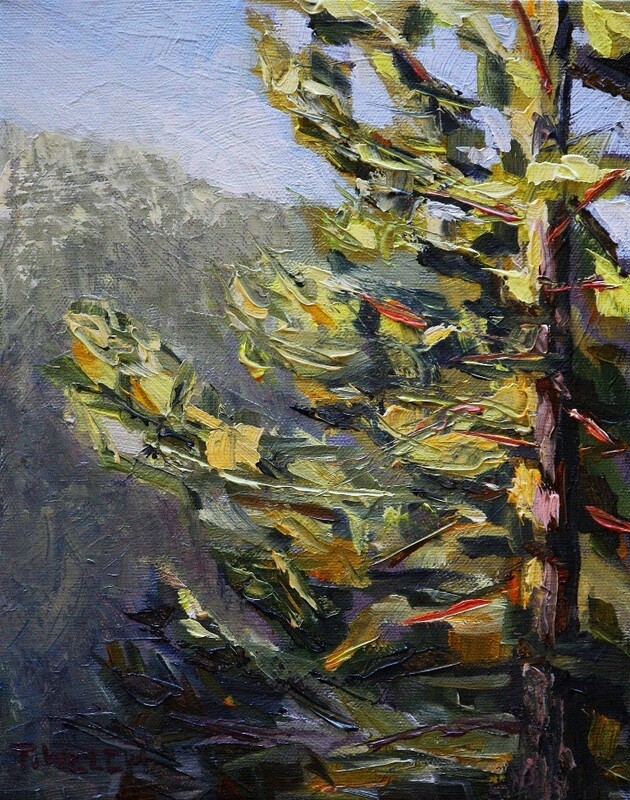 Ever since, Artwork Archive has helped her organize and grow her career as a full time painter, so she can spend more time in the wild backcountry of Canada and less time doing paperwork. 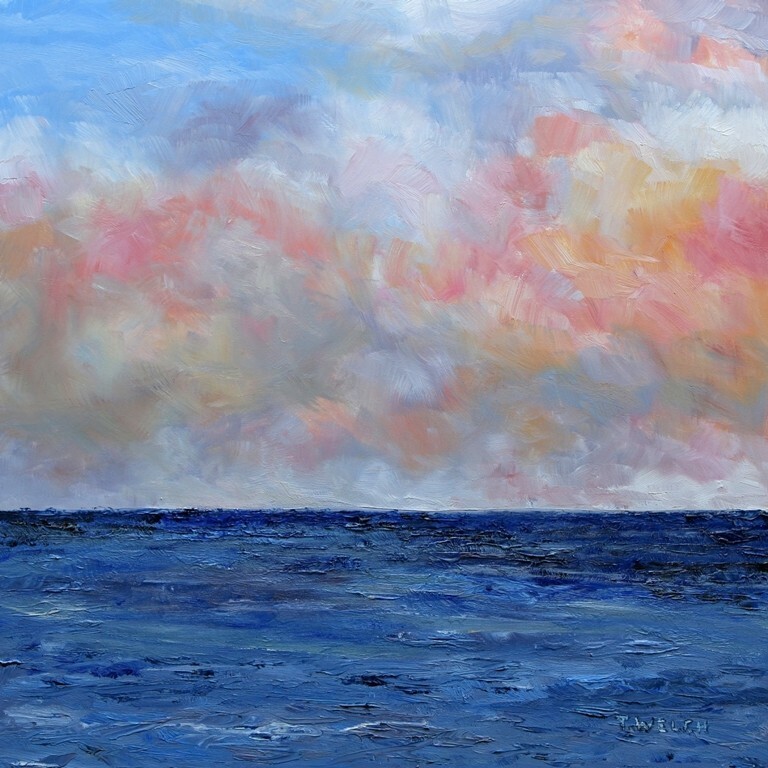 Internationally collected, Terrill’s work captures the essence of the sea, sky, and forest that she encounters. 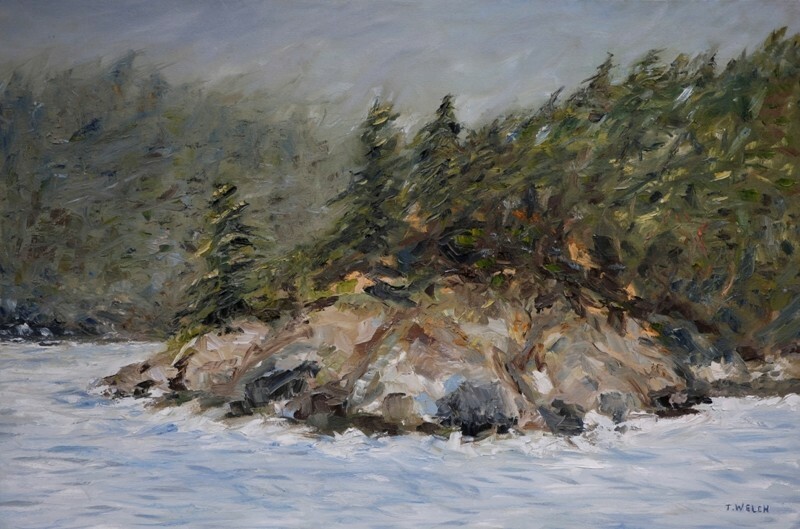 Each brush stroke breathes new life into the already picturesque landscapes of British Columbia. Want to see more of Terrill Welch’s work? Visit her Artwork Archive Public Page. HOW HAS YOUR COUNTRY’S HISTORY AND CULTURE INFLUENCED YOUR ARTWORK? 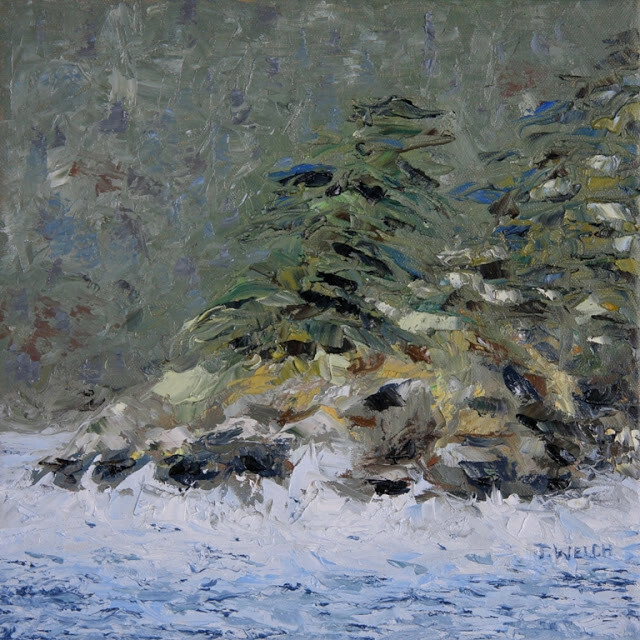 Growing up in rural north-central British Columbia, the stunning and diverse landscape of our province has deeply influenced my creative expression. Canada has a history of landscape painting excellence. The Group of Seven and Emily Carr are the most prominent of these artists. It is the landscape itself that calls me to walk, photograph, and to paint my relationship to these elements. My country is young with a pioneer spirit of exploration and adventure. Canada has large areas of wilderness that are still brush and trees that have been left to the mountains, lakes, rivers, seas, and the mosquitoes. These landscapes are frequently only occupied by the birds and animals native to that area. In the company of only a few others, this is where I live and create. HOW DO YOU STAY CONNECTED WITH THE INTERNATIONAL ARTS COMMUNITY? I have a far-reaching and active international art community mostly through Twitter, Facebook, and Google Plus. I often participate in online events or in groups or communities such as the #TwitterArtExhibit international original postcard fundraiser. These connections and interactions now go back for several years. Social media was my start and continues to be my platform into the international arts community. YOU SELL WORK IN MANY DIFFERENT LOCATION AND OUTLETS. HOW DO YOU MANAGE ALL THE LOGISTICS? Artwork Archive is the place where new paintings are first entered for release and is the most reliable source for a potential buyer to determine if a painting is still available. I am also able to let a viewer know in the description what brick and mortar gallery a work is currently shown in. In this way, regardless of where else my work is showing, Artwork Archive has become a central or default link to view my paintings online. My website is like the entrance lobby to welcome a visitor to view and purchase my paintings. Artwork Archive is the theatre, showing the work on a grand online stage and with all the functionality necessary happening in the wings. HOW DID YOU HEAR ABOUT ARTWORK ARCHIVE AND WHY DID YOU SIGN UP? BEFORE USING ARTWORK ARCHIVE HOW DID YOU ORGANIZE YOUR BUSINESS? I became aware of Artwork Archive following a crisis. My laptop hard drive failed and though I had Excel and hardcopy backups of my inventory and art sales information, the program I had been using was gone. I could have reinstalled this program on my new laptop and input the information again. But instead, I decided to see if I could find a workable online inventory system for artwork. Through an internet search I found Artwork Archive, which was still in its early days of development. However, I liked what I saw and it was easy to use. I opened an account and shortly thereafter hired an assistant to help get unsold work into the new program. 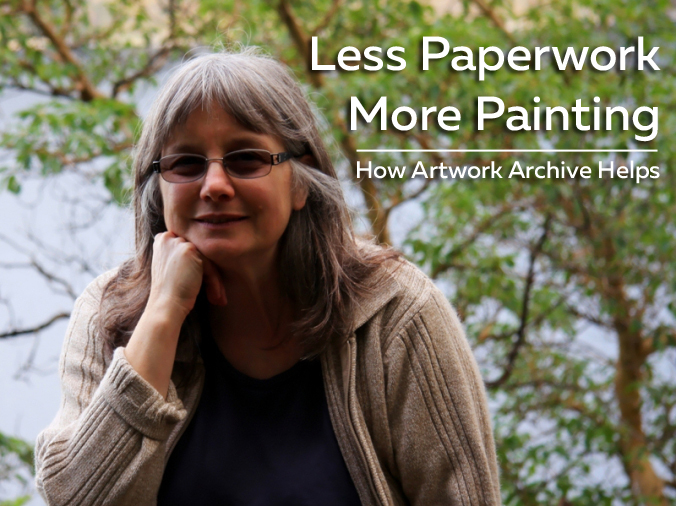 HOW DOES ARTWORK ARCHIVE HELP YOU RUN YOUR ART CAREER? I started working full-time as an artist in 2010. 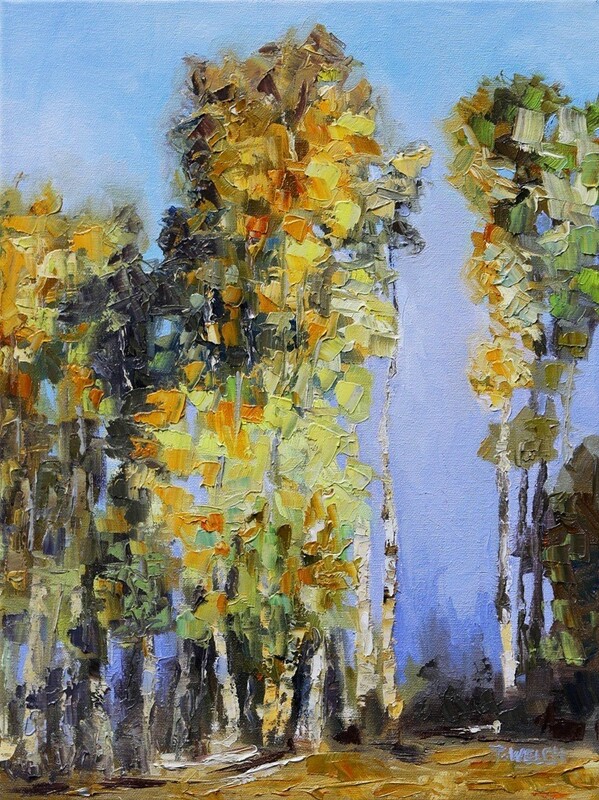 Depending on the size, I produce between 20 and 40 new original oil paintings each year. On average, over the past six years, I sell half of what I create. A finely-tuned, practical, reliable, easy-to-use inventory, show, and sales record system is necessary. Artwork Archive offers this at a reasonable fee—and if my device fails, that is all that is lost, not my art records. Basically, once I get a work entered into the system, I never have to input this information again. I love that! 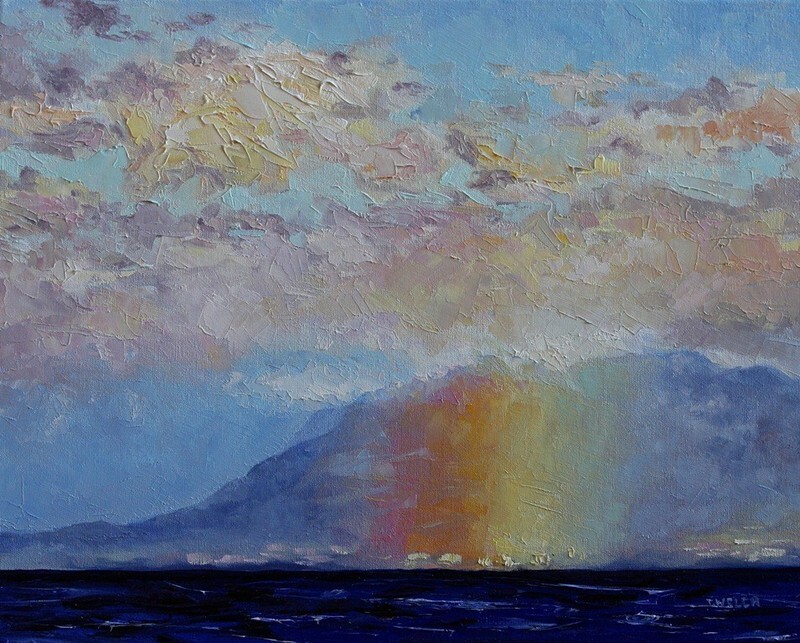 Terrill Welch's paintings: Rainbow Mountain Pink Sky and Sea In Evening Dress. WHAT ADVICE DO YOU HAVE TO ANOTHER ARTIST CONSIDERING ARTWORK ARCHIVE? Do it! If you find it too painful to input and organize the inventory yourself, hire an assistant. If the body of work is large and unorganized, start with new work and then keep adding more when there is time. For the first few weeks after I set up the program, I just added work as it sold and new paintings as they were completed. This allowed me to get a sense of how the program worked and to feel like I was getting a solid start in the right direction. I also created ongoing opportunities that forced me to input new paintings. These could be open studio days and solo exhibits. I find that if I plan for a few of these each year, I work like crazy to get everything into the inventory program before the events. This is partly because of the excellent labels and consignment document options that come with the Artwork Archive system. To get organized and grow your business like Terrill did, click here to start your free trial. Pricing your artwork properly is no easy task. How can you make sure the price is right? These do’s and don’ts are a good reminder about the core principles of pricing. Want to sell your art to interior designers, increase your exposure, and add to your income? Get started with our six-step guide.